Struggling with high blood pressure? Want to keep your heart healthy and live a long life? If so, the DASH diet might be exactly what you need! This eating plan was designed as a natural way to reduce blood pressure and improve cardiovascular health. Most dieters report significant results in as little as 14 days. Weight loss is a welcome benefit. 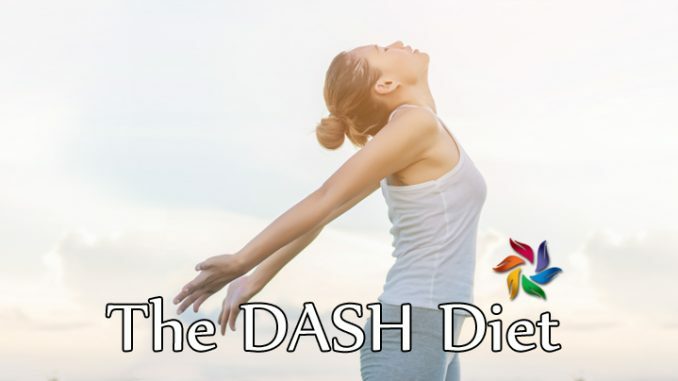 US News & World Report has ranked the DASH diet as the best diet for seven years in a row. DASH stands for Dietary Approaches to Stop Hypertension. This slimming plan helps reduce cholesterol levels and blood pressure, promotes fat loss, and lowers diabetes risk. It’s also effective in the prevention of heart disease, stroke, kidney stones, and several types of cancer. With the DASH diet, you’ll lose stubborn fat and enjoy better health. This dietary plan promotes healthy eating habits that can be sustained for life. Most meals and snacks are high in protein, fiber, calcium, potassium, and other nutrients that regulate blood pressure and support heart health. Dieters are encouraged to consume fruit, vegetables, low-fat dairy, lean meat, fish, and whole grains. Sodium intake should be kept to a minimum. The DASH diet allows up to 2,000 calories per day, split into several meals and snacks. Ideally, you should eat up to eight servings of grains, five servings of veggies, three servings of dairy, and less than six servings of meat daily. Unrefined vegetable oils, raw nuts, and seeds are allowed too. Your daily sodium intake should not exceed 1,500 milligrams a day. Salt can be replaced with herbs and spices, so you won’t even notice the difference. A typical menu includes oatmeal, low fat cheddar cheese, poultry, broccoli, cabbage, salmon, tuna, extra virgin olive oil, fresh or frozen fruit, yogurt, slimmed milk, and other whole foods. Dieters can enjoy up to five sugary treats per week. By using this approach, you’ll get leaner and lower your risk of cardiovascular problems. In the long run, the DASH diet may help prevent metabolic syndrome, heart failure, breast cancer, and obesity. These health benefits have been attributed to the high fiber content of fruits and vegetables.